When is it Time to Hand over the Keys? Since 1863, the West Virginia State Motto has been Montani Semper Liberi, or “Mountaineers are Always Free.” We love and value our freedom, no matter what our age. One of the greatest freedoms we possess in this country is the freedom to travel without restrictions, usually by car. Ask older folks in the nursing homes what they miss the most, and many will tell you that they miss the ability to drive when and where they like. According to the U.S Census Bureau’s population estimates by age and gender, West Virginia remains among the oldest states in the nation. The median age of West Virginians is 40.5 years (third highest) and the share of those who are 65 years or older is 16.2 percent (second highest), and these percentages are predicted to rise every year. As the number of older drivers increases, senior-driver safety is becoming more relevant for many families. With years of experience behind the wheel, older drivers likely are among the safest on the road. 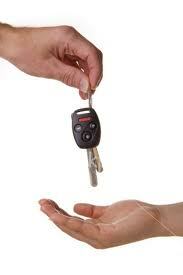 However, skills and abilities required for safe driving do deteriorate with age. The “silver tsunami” or great increase in the percentage of seniors driving in West Virginia raises the question of how families and doctors must be working together to determine if and when age-related health problems — from arthritis to frailty to Alzheimer’s disease — are severe enough to impair driving. A recent hit-and-run tragedy in West Virginia illustrates the need for families to keep a watchful eye on Alzheimer’s patients in their care. The investigation of a fatal hit and run accident in Kanawha County this week took an unexpected turn when sheriff’s deputies learned that the woman behind the wheel of the vehicle which struck Terry Stanley, 50, of Hernshaw, was an 80-year-old who suffers from Alzheimer’s. Investigators said the woman had a valid driver’s license. Fatality rates for drivers begin to climb after age 65, according to a recent study by Carnegie Mellon University in Pittsburgh and the AAA Foundation for Traffic Safety, based on data from 1999-2004. From ages 75 to 84, the rate of about three deaths per 100 million miles driven is equal to the death rate of teenage drivers. For drivers 85 and older, the fatality rate skyrockets to nearly four times higher than that for teens. Specific physical and cognitive abilities may decline with advancing age such as changes in vision, hearing and reaction time. However, there are large individual differences in the onset and degree of functional impairments, so age alone does not provide sufficient information to judge driving ability. Still, functional impairments can interfere with driving and may become particularly evident in stressful or challenging driving situations such as merging or changing lanes. Several studies have shown that higher levels of physical, cognitive or visual impairment among older drivers are associated with increased risk of crash involvement. Statistically, fatal crash rates begin to increase at age 75. Per mile traveled, crash rates and fatal crash rates start increasing at about age 70. A study of older drivers’ elevated fatal crash rates per mile traveled between 1993 and 1997 revealed that the main factor was not seniors’ over-involvement in crashes but their fragility, defined as the risk of death in a crash. Fragility increased starting around ages 60-64 and continued to rise with age. Compared with younger drivers, senior drivers are more likely to be involved in certain types of collisions — angle crashes, overtaking or merging crashes, and especially intersection crashes. Studies of senior-involved crashes have found that failure to yield the right-of-way is the most common error among seniors. Many older drivers also take medications with side effects which can impair driving ability of both young and old. As a person ages, their muscle mass and liver and kidney functions decline, so that person’s ability to metabolize (break down, use, and eliminate) medicines declines as well, leaving a higher concentration of medications in the body which may affect response time and driving ability. A large study from Canada in 2011 found another key component in reducing serious crash injuries among older drivers: simply having the doctors warn patients, and tell driving authorities that the older patient may be medically unfit to be on the road. Where this has occurred, there’s a drop in serious crash injuries among those drivers. The study, in the New England Journal of Medicine, couldn’t tell if the improvement was because those patients drove less, or drove more carefully once the doctors pointed out the risk. While the study included adult drivers of all ages — for conditions ranging from epilepsy to sleep disorders, alcoholism to dementia — most were over age 60. This study highlighted one reason physicians don’t like to get involved: About 1 in 5 of the patients who were warned changed doctors. There also was an uptick in reports of depression. Doctors aren’t necessarily trained to evaluate driving ability, and the study couldn’t tell if some drivers were targeted needlessly, noted Dr. Matthew Rizzo, of the University of Iowa. Yet he considered the research valuable. ‘‘The message from this paper is that doctors have some wisdom in knowing when to restrict drivers,’’ Rizzo said. His own research shows some cognitive tests might help them better identify who’s at risk, such as by measuring ‘‘useful field of view,’’ essentially how much your brain gleans at a glance — important for safety in intersections. Other families turn to driver rehabilitation specialists, occupational therapists who can spend up to four hours evaluating an older driver’s vision, memory, cognition and other abilities before giving him a behind-the-wheel driving test. Some doctors and state licensing authorities order those evaluations, but programs can be hard to find, often have waiting lists and cost several hundred dollars that insurance may not cover. Source: The Dominion Post, “Families Key, but Docs have a Big Role in Driving Decisions,” AP: Lauran Neergaard, Associated Press writer Carla K. Johnson in Chicago contributed to this report,Washington, September 27, 2012.